Hi.... Another 5 more days to Chinese New Year. How's your Chinese New Year preparation going? 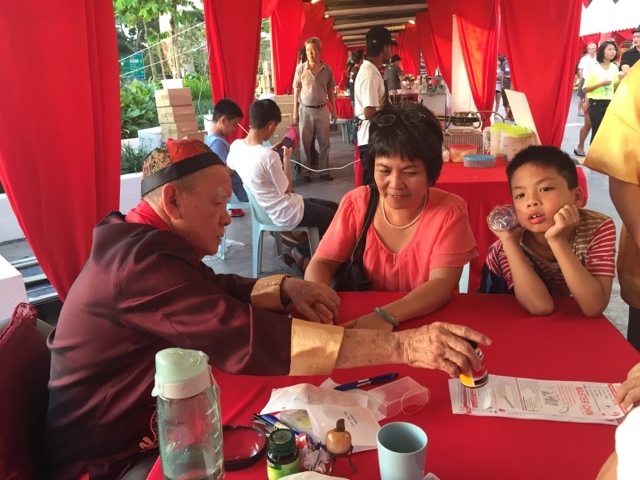 Last Sunday, I was at Da:Men, USJ's first ever outdoor street market for last minute shopping. Wheee.... Lucky me to received my first ang pow for the year of the fire monkey from the God of Prosperity. Huat ah! 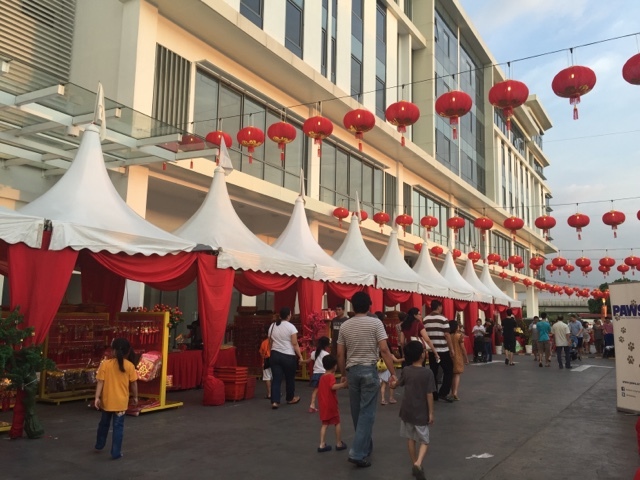 The festive street market is beautifully decorated with red lanterns and stalls selling decorative items, foods, beauty products and many more. How does shopping while contributing to charity sound to you? 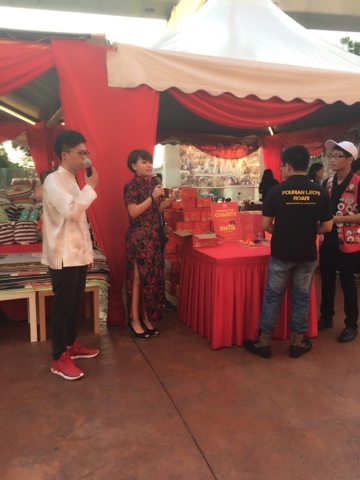 Yes, for every box of mandarin oranges sold, RM12 will be contributed to charity homes. 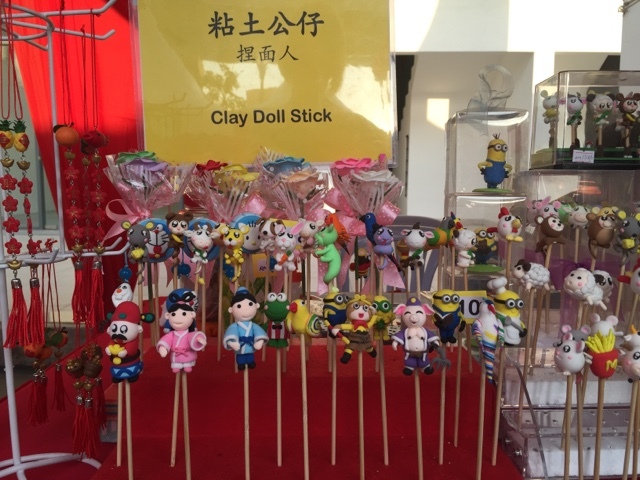 Adorable clay doll stick for the kids. Apart from shopping, you could also get your fortune forecast. 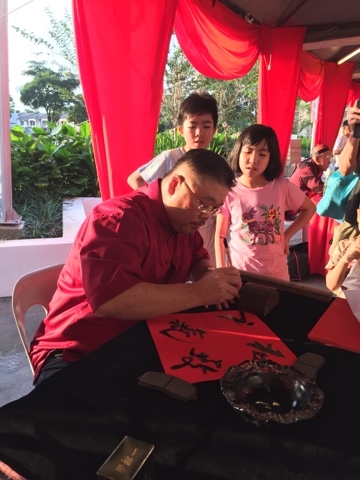 Or enjoy the calligraphy demonstration. 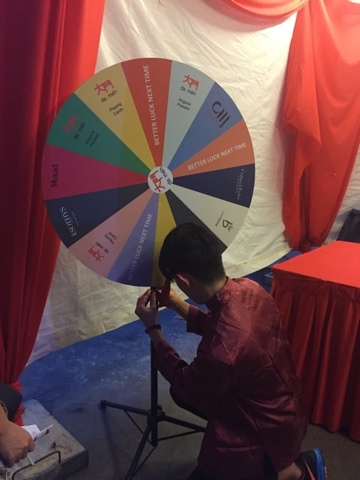 Shoppers also can participate in the Spin & win contest. 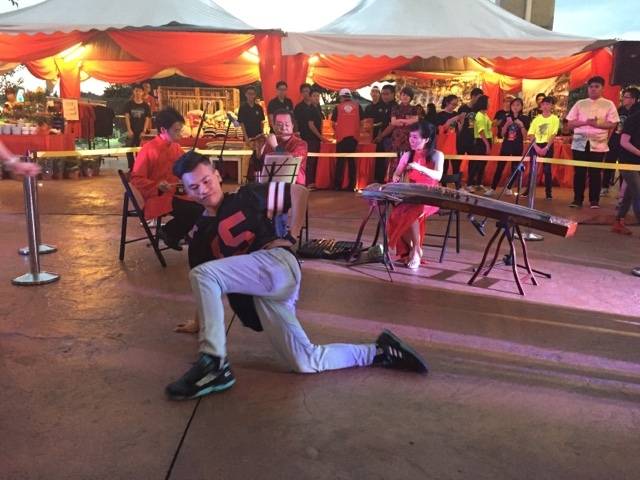 The heat is then continued with exciting street dance, performing with traditional Chinese musical performance. It was an awesome time shopping and enjoying the performances and activities at the street market. 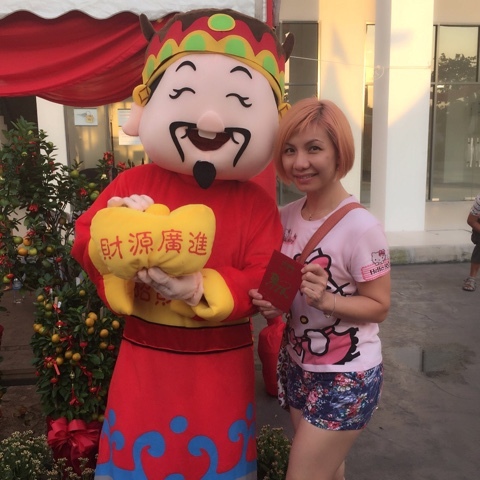 If you are celebrating Chinese New Year, I would like to wish you 'Gong Xi Fa Cai' and may good luck and fortune always be with you. Nice to meet you that day. After the rain stopped I went back and bought the cookies. Whenever I go bazaar or pasar malam I must buy something back, kind of itchy hand. Hopefully they will have this kind of bazaar more often. full of festive mood! long time never visit this side of klang valley. so many interesting place now. Gosh! 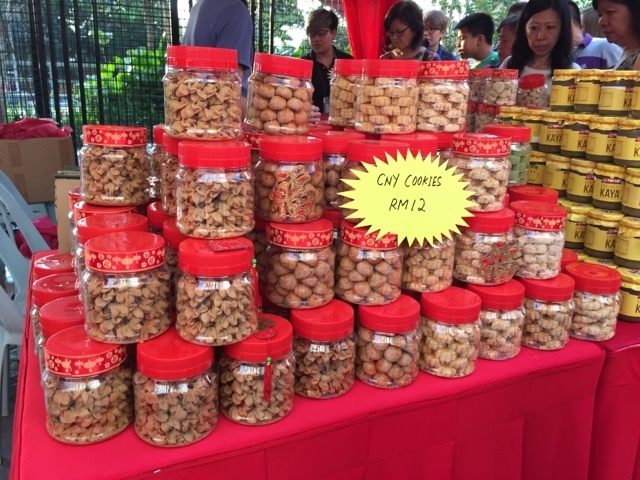 that cookies seriously cheap for klang valley price. Not sure when I back KL they still have the street market or not.. Hmmm... Sounds so fun eh..
Da:Men is the one located next to Summit USJ right? Looks good. Heard the food court is good too. I love to eat CNY cookies. The atmosphere also makes anyone feel happy and bright. This street market does have the festive air to it. Gong Xi Fa Cai to you and your loved ones. So cheap the cny cookies. Da men really happening. I have not visit yet the mall. I love these street kind of festive celebrations which reminds me of olden days when not many shopping malls were there. crazy jam that area. want to go check it out also have to think a few times. Ohh...I have missed this strong CNY feel of street market @ Damen, wasted la for my CNY shopping :( so sad...it seems a nice shopping street for CNY preparation! 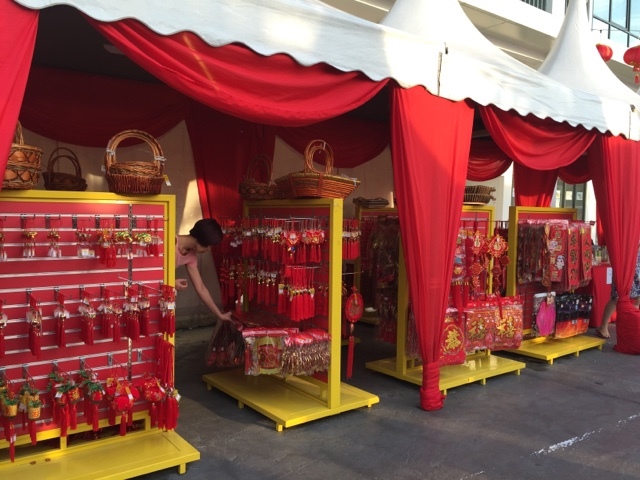 Are they going to do these cultural markets every holiday? I sure hope they do!